Here's what the next Google Glass looks like. The official Google Glass Google Plus page just revealed the look of the updated version of Google Glass and it's somehow even more cyborg weird. The overall look remains the same but it looks like Google is adding a single mono earbud for the second generation of glass. Current Glass users will be able to swap out their old Google Glass specs for the improved hardware of Google Glass 2. Google had previously stated that the updated Google Glass will "work with future lines of shades and prescription frames" and will also include the unsightly mono earbud. 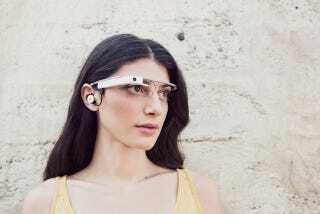 Update: A Google spokesperson reached out to clarify a few things about the "new" Google Glass. First, the overall design of the next Google Glass remains the same. Google made some minor tweaks to make sure it works with different sunglasses and can eventually fit with a line of prescription Glasses. Also, the earbud (if you didn't realize) is removable and meant for those on the go (or those who want better audio performance).